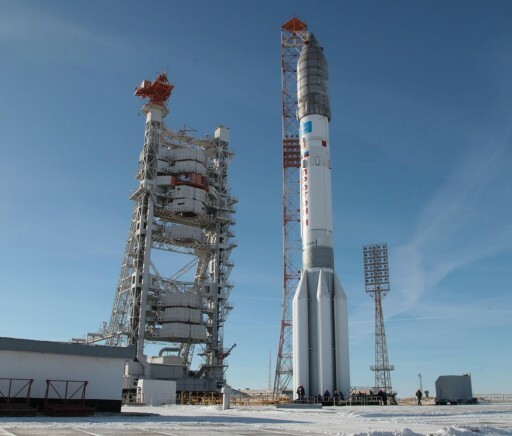 Russia’s Proton-M rocket is set for its year-closing mission on Wednesday, launching the Ekspress AMU-1 communications satellite to Geostationary Transfer Orbit. 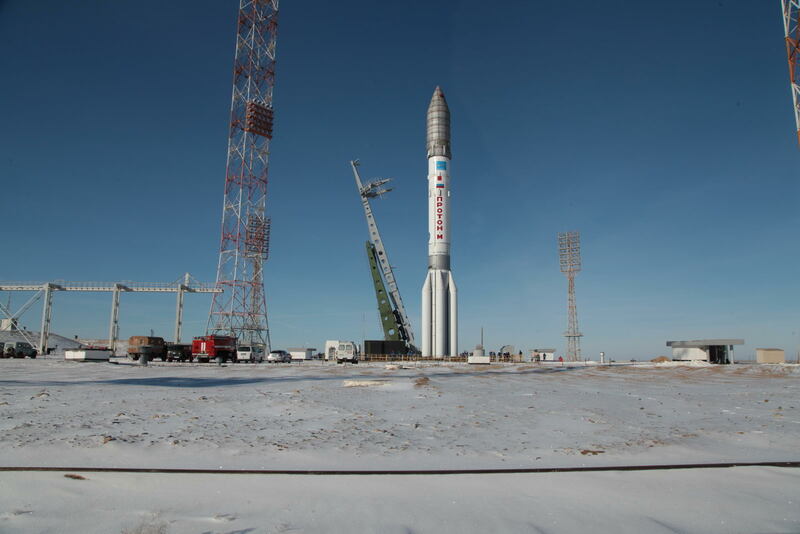 Liftoff from the Baikonur Cosmodrome is set for 21:30 UTC to mark the start of a standard ascent mission by the three-stage Proton rocket lasting just under ten minutes, to be followed by a flight of over nine hours involving five burns of the Briz-M upper stage to reach the intended orbit. 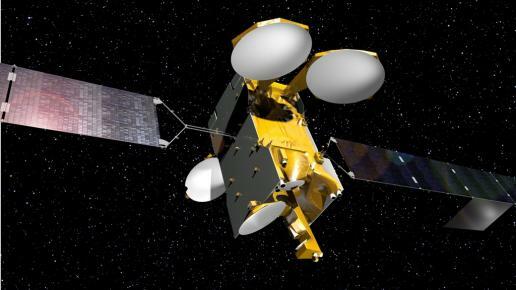 The Ekspress AMU-1 satellite was built by Airbus Defence and Space for operation by the Russian Satellite Communications Company to expand its services to cater to the growing needs of the Russian digital entertainment market. The Ekspress AMU-1 satellite was delivered to the Baikonur Cosmodrome in the first half of November to enter final processing for its launch at the end of the year. 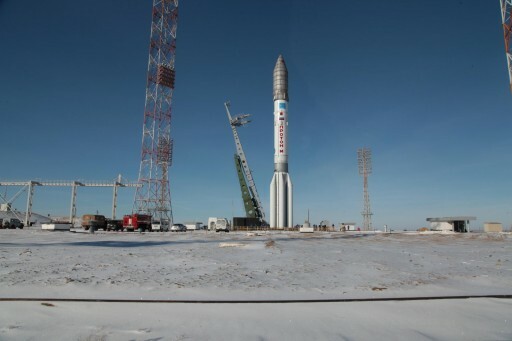 As is typical for Russian government-operated flights of the Proton, details on launch preparations were not provided until the rocket was moved to the launch pad on Sunday at a snowy Baikonur Cosmodrome. 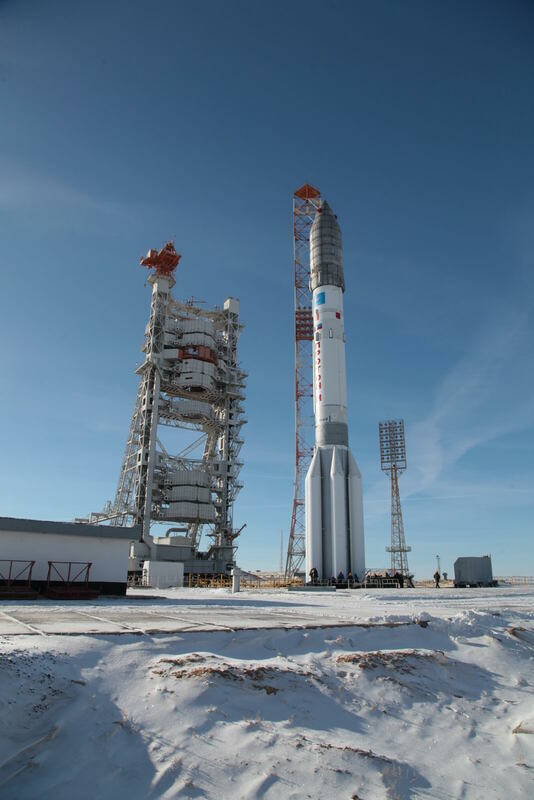 Placed in its vertical launch position, the 58-meter Proton-M entered a detailed testing campaign to set up for the initiation of the countdown on Wednesday. 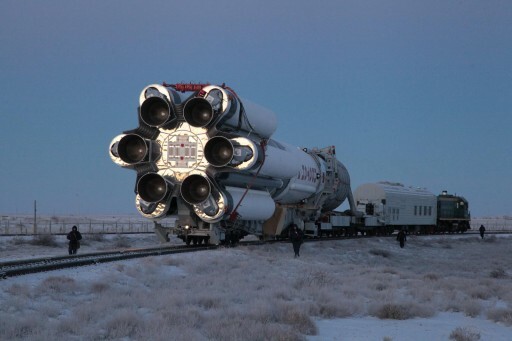 The Russian State Commission approved the rocket for tanking, starting at L-6 hours to fill the three stages with 622,000 Kilograms of hypergolic propellants. 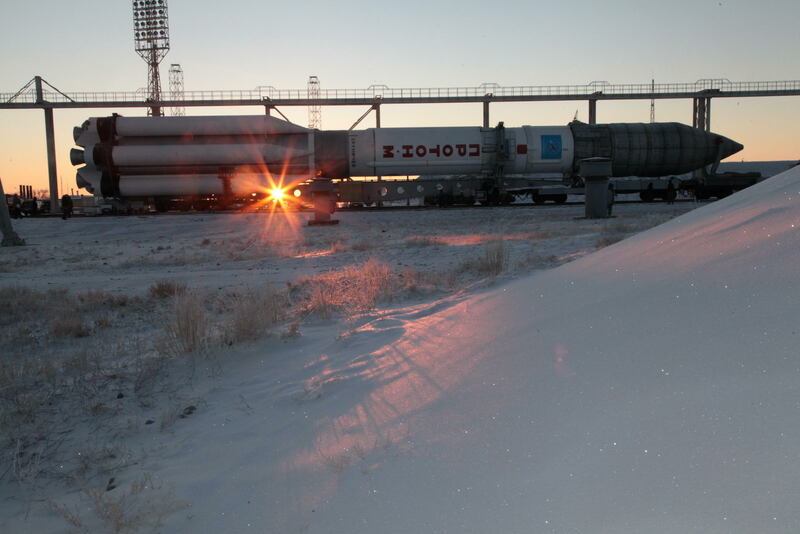 The Briz-M upper stage received its propellant load, 19,800kg of hypergolics, at a dedicated fueling facility last week. 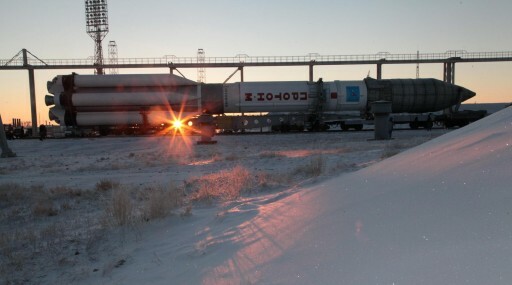 When the pad is re-opened after fueling, final hands-on work will be completed including the removal of protective covers and the close-out of the rocket and Servicing Structure. 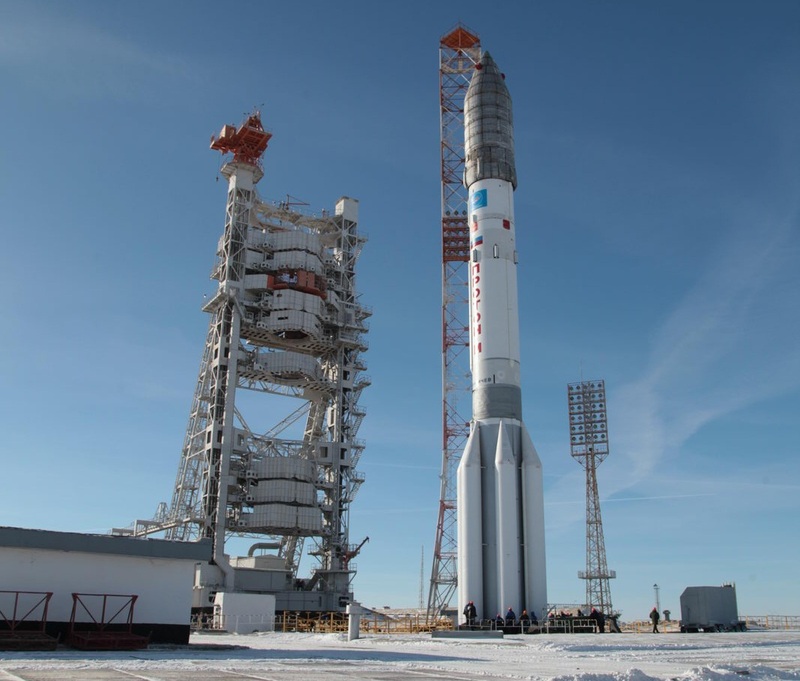 One hour ahead of liftoff, the Service Structure is rolled back to a safe position for launch, exposing the fully fueled Proton rocket. 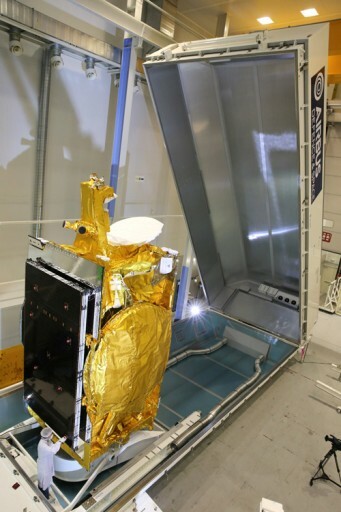 Beginning its five burn mission, the Briz-M upper stage will ignite its S5.98 engine after a very brief coast to conduct a burn of four and a half minutes that puts the stack into a Low Earth Orbit for a coast phase of a little over 50 minutes to set up for a long burn on the ascending node of the orbit with a duration of nearly 18 minutes to raise the apogee of the orbit to 5,000 Kilometers, placing the apogee passage close to the equator. 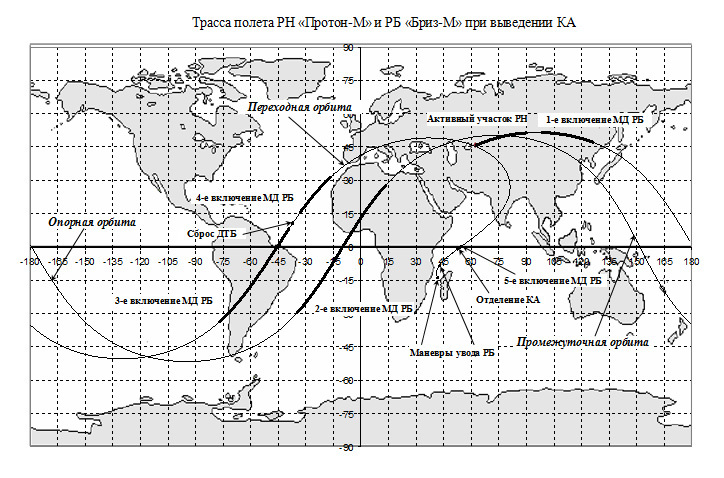 Next is a coast phase of nearly an entire orbit so that the next burn can again take place around the perigee of the orbit, on the next ascending node, to continue raising the apogee to reach Geostationary Altitude at 35,800 Kilometers. The third and fourth burn are conducted as a pair, amounting to a total of 17.5 minutes, only separated by a brief coast during which the spent Auxiliary Propellant Tank is jettisoned from the Briz-M.
After the conclusion of the fourth burn, Briz-M will coast for over five hours to be able to climb all the way up to the apogee of the orbit for the final burn of the mission that serves as a perigee-raising maneuver and a plane-change, reducing the inclination of the orbit. Spacecraft Separation is expected around nine hours and 13 minutes after launch.